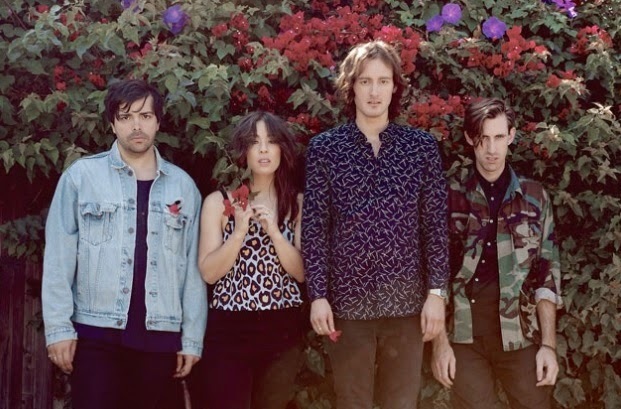 Californian quartet The Colourist smashed the internet last year with a bunch of blog adored songs such as Little Games, Fix This and Yes Yes (including some appreciation from Breaking More Waves). Now there’s a video for the song We Won’t Go Home which was originally included on the bands Lido EP. It features the band playing in front of some faded and hazy scenes whilst blasting out their indie-power pop. We Won’t Go Home is muscular enough to stand the test against rock dudes, but full of the sort of perkiness and lyrical simplicity to stand a chance with the pop kids as well (not of course that all pop songs have to have simple lyrics). Oh, and any band that has a singing drummer in the style of Phil Collins (although not as bald) gets our vote. For now The Colourist don't have any UK gig dates scheduled (can someone sort that out please?) so we'll just imagine how joyful this song would be as a set closer, all bouncing, moshing and frugging at the front but still plenty of vigorous head nodding and occasional bursts of dancing at the back, before everyone joins in with the final chanted chorus as the band leave the stage. The Colourist’s LP is released by Republic Records on March 25th but you can stream it by clicking here right now. If you're a fan of this sort of spiky spunky US indie pop you won't be disappointed. A tale concerning hair dye, Shazam and Banks.